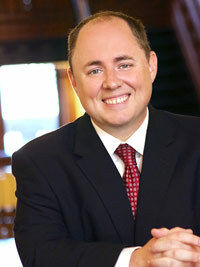 Criminal defense attorney Alan R. Wheeler was born and raised in Arkansas. He received his undergraduate degree in Finance from Ouachita Baptist University in Arkadelphia, Arkansas, then went on to receive his Juris Doctor at the University of Arkansas/Little Rock. After graduation, Alan and his wife moved to Denton County. Alan was accepted into the Texas State Bar, and became a criminal defense attorney in Houston, TX. Shortly after moving to Denton County, Alan was hired by the Denton County Criminal District Attorney’s office. He served as both a prosecutor and as an Assistant District Attorney, where one of his duties was to evaluate hundreds of cases to determine their merit. While at the District Attorney’s office, Alan successfully tried over 50 cases to jury. When he left the office to start his own practice, Alan retained the valuable contacts and strong relationships he had made at the D.A.’s office. These contacts-and his experience as a prosecutor-have proved extremely beneficial to his clients at the Wheeler Law Office. Alan’s experience as a prosecutor provided him valuable knowledge regarding the strategies and tactics used by the D.A.’s office in handling criminal matters. Alan uses that knowledge today to provide passionate, aggressive legal defense to clients facing criminal charges. Alan understands that just because a person is facing criminal charges doesn’t mean they’re guilty, and it certainly doesn’t mean they are bad people. For Alan, his clients are more than ‘just a case’-they’re people worth defending, and he works diligently at fighting for their rights. Alan is committed to getting the most fair and reasonable outcome possible for all his clients. Additionally, Alan also represents clients seeking occupational licenses, pretrial diversion, and record expungement.